Still slightly buggy at points. This is a spectacular content packed addition to the main game and should set the standard for all RPG related dlc's going forward. 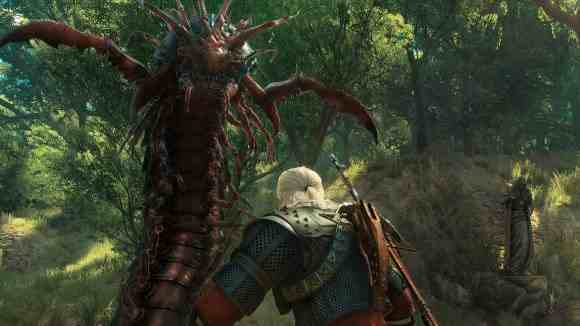 The final Witcher DLC is finally here and with it rumours that this will be the last we see from Geralt Of Rivia. 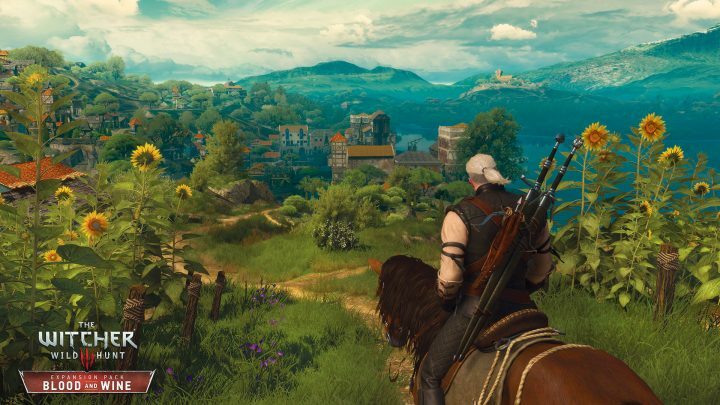 CD Projekt Red have stated that there’s ‘over 30 hours of new adventures’ and a ‘land unlike anything you’ve seen in Wild Hunt or Hearts of Stone’, which it does not fail to deliver on. Let’s start off by saying that the map for this section of the game, is absolutely huge, it’s basically a game in itself, although once you enter the realm of Touissaint (a duchy within the Nilfgaardian Empire) you won’t be able to return to the main map for quite some time. So make the best of it whilst you can and take everything in; which is a lot! 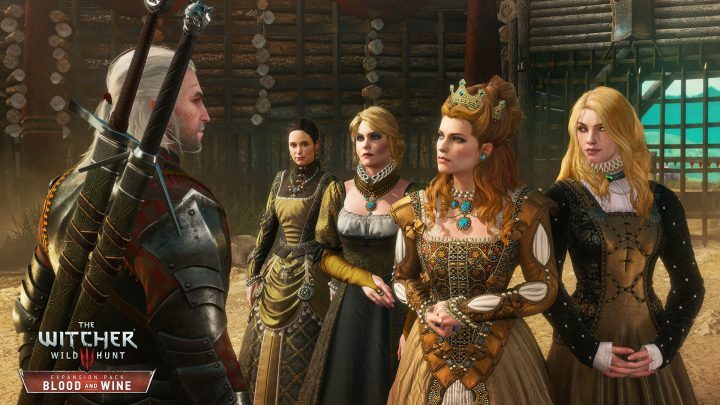 The main story and introduction to the DLC starts with a Witcher contract ‘Envoys, Wineboys’ displayed on a notice board in Mulbrydale. From here you get you’re first taste of Touissaint, as two knights hand you the contract information before leading you to the duchy leader, Duchess Anna Henrietta. 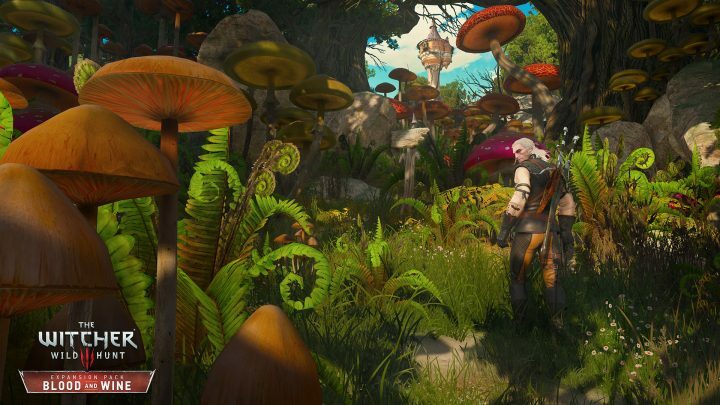 The landscape here is a lot brighter and more whimsical then the main game, making it feel on the whole more promising and hopeful compared to the drab look of the Wild Hunt. New exotic looking herbs can be found throughout the duchy along with other localslised flora and fauna, just don’t get too comfortable in the bright new surroundings as there’s still quite a few areas shrouded in mystical fog and dark monotonous scenery. As is no surprise, vineyards and bottles of wine can be found throughout most areas, often with the accommodating consumables sat along side them. 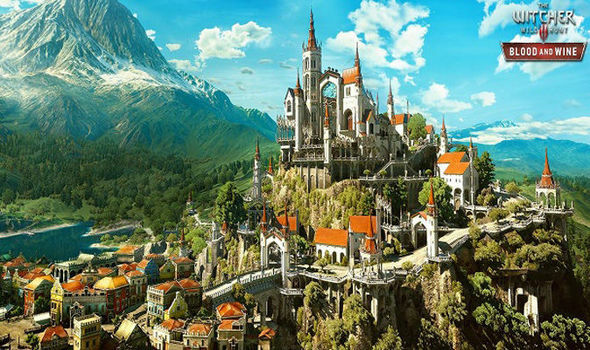 New armour, weapons and forges can be found in the city of Beauclair and its surrounding townships, along with the new game mechanic in which armour can be dyed for aesthetic purposes. To fully emerge yourself in the almost poetic fairytale life, you can opt to take part in the Grand tourney in replace of one of the grand knights, here you can practice racing, crossbow shooting and fighting skills before being put to the test. You can finally have a place to call home after being handed the deeds to a vineyard in disrepair. Although other places throughout the game have save boxes, this place has your own clean and comfy bed which triggers specific abilities when slept in. Along with this you can add an armour and weapons display rack, grindstone and armour workbench. Particularly challenging are the new monsters, there’s over 20 varieties of them fighting along side the usual suspects, including Bruxas, Echinops, and Dracolixards. Garden like monsters such as giant centipedes and Archespores seem to be the more common enemy you can stumble upon in the vineyard spotted hills, along with the odd Giant, Panther, Spriggan and maybe even a cursed spoon collecting creature along the way. A new feature reminiscent of Shadows Of Mordor, includes bandit camps calling for reinforcements when you try to raid their , which can only be stopped by hunting down the torch carrier before he reaches the signal beacon. This makes for an interesting challenge as you’re swarmed by different infantry types who aren’t willing to back down. It is recommended that you do not enter Touissaint unless you’re at least level 35, but if you’re playing on anything higher than normal ‘blood and broken bones’ I’d say wait at least until level 40, which is still extremely challenging. 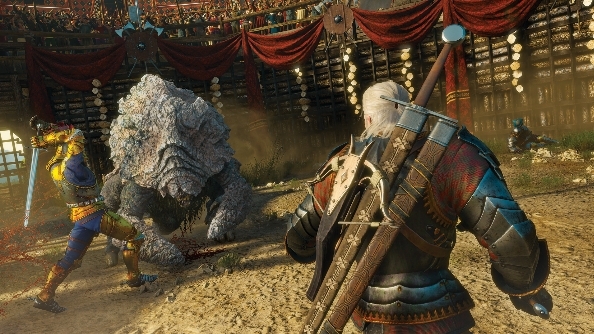 There are a total of 90 new quests, 40 new points of interest, new Witcher contracts and high level scavenger hunts available. One side quest in particular reveals the development of ‘mutagen X’, research into this mutagen opens up new levelling up abilities in the character development menu, which now has a maximum level of a 100. Along with patch 1.20 a general overhaul of the user interface menu has also tidied up some of the previous inventory and index issues, making things more organised and accessible. If you’re a Gwent fan then you’ll be pleased to hear that there’s now a whole new deck and tournaments to go with it located throughout. 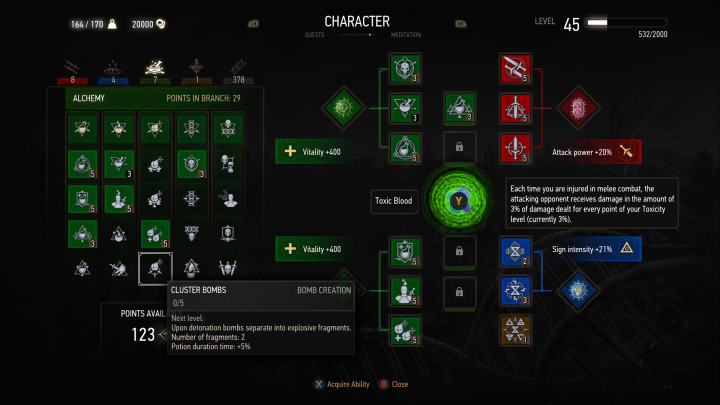 The Skellige deck is very similar in its core to the Scoia’tael and Monsters decks, with a few new variations thrown in for good luck. The amount of content available in this dlc makes it more than worth the price, limited versions of the dlc also come with the missing two physical copies of the Northern Realms and Nilfgaardian Gwent decks (Monsters and Scoia’tael cards available with purchase of limited hearts of stone dlc packs). This is a spectacular content packed addition to the main game and should set the standard for all RPG related DLCs going forward.